Weekly Round-up for August 6, 2012. The new site has been up and running just under a week now, and judging by the e-mails in the inbox, you guys are getting right down to adding reviews, updating links to your lists, and completing the Club Monthly Meme. We’re all so excited by the response to the new site! We hope that this will continue to be a place to come together to read the classics. This is the first installment of the Club’s Weekly Round-up posts. Each week, I’ll be here to recap events from the previous week-including reviews, new members, and anything else going on here on the site. Hopefully, this will prove to be an easy way to keep track of new reviews by your fellow Clubbers! Since the site just launched, we have a slew of reviews and new members to announce (which is awesome!). Everything will be linked up below, so make sure to visit our newest members to welcome them and check out the new reviews. I’m sure you’ll find more books to add to your TBR. The first Monthly Meme was launched on August 2! There are already a number of posts linked up! Check it out and feel free to write your own post to link up. You can participate at any time during the month of August, so if you need some time to think over your answer, you have plenty of it! You can find future topics here. Adam of Roof Beam Reader is hosting Austen in August this month! Make sure to check it out, as he has some awesome giveaways and great guest posts coming up. We are looking for nominations for our two new features-Classic Clubber of the Month and Featured Post of the Month. Know of a Clubber who has been rocking their list, or who is just a general inspiration to you? Nominate them by filling out this form. Or, did you run across an amazing post by a fellow Clubber that everyone needs to see? Make sure to nominate it by filling out that form. Both of these features will run every month, so you can continuously nominate! We also want to make sure that you know if you ever have any questions, comments, or concerns regarding anything to do with the Club or the new site, you can always contact the moderators. The launch of the site also brought us quite a few new members. Please make sure to visit our newbies and welcome them to the Club! If you are interested in joining, you can find more information on our Join the Club page. Beachreader (Jayme). Book List. Goal Date: August 1, 2017. Literary Exploration (Michael). Book List. Goal Date: March 7, 2017. Honeybee’s Joys (Missy). Book List. Goal Date: July 31, 2017. Pages Turned (Susan). Book List. Goal Date: April 2, 2015. Lost Generation Reader (Jenna). Book List. Goal date: August 3, 2017. Bibliophilia (Terri-maree). Book List. Goal Date: March 31, 2017. Brilliant Years (C). Book List. Goal Date: July 31, 2017. My Harvard Classics. Book List. Goal Date: August 5, 2013. A Novel Attachment (Joon-Ann). Book List. Goal Date: August 4, 2017. Always Cooking up Something (Chinoiseries). Book List. Goal Date: December 31, 2016. A Happier Emily (Emily). Book List. Goal Date: August 5, 2017. In addition to linking up a lot of new members, we also had a lot of members submit links to posts they’ve written in the last few months (since the Club started). Some individuals hadn’t linked up before, so you will see multiple posts by some individuals. To link up posts, you need to fill out this quick little form. Additionally, if you want to see all the reviews submitted by Members, visit our Reviews Page! Carey reviewed: Wuthering Heights, The Grapes of Wrath, and To Kill a Mockingbird. Terri-Maree reviewed: Middlesex, The Boy in the Striped Pajamas, Wuthering Heights, Alice’s Adventures in Wonderland, Rebecca, and The Wonderful Wizard of Oz. ‹ PreviousEvent Reminder: Austen in August! 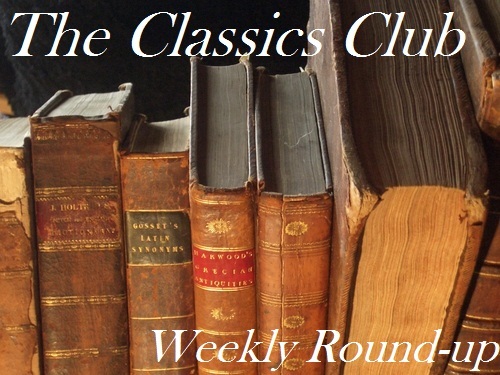 Next ›August 2012 Classics Clubber of the Month: Fanda of Fanda ClassicLit. My blog is not included in the new members list so I’m wondering if my submission wasn’t received? This is Jillian. We’re still trying to get organized. When did you submit your membership? If it was before Sunday, Aug. 5, it may have been lost in the giant move. Resend if you submitted before Aug. 5. If it was after Aug 5, you’re probably waiting in the pool. It’s a big job getting everyone added so there is a delay. But go ahead and resend your submission anyway to be safe. Thanks Jillian. I submitted on Aug. 3 (I think) so it probably got lost. No worries…it’s obvious the Club is getting HUGE and you have a lot on your plate. I’ll resubmit. PS You can shorten my name to HRO. I’m so sorry we missed you! I will make sure that we get you in this week’s post! Fantastic how quickly the Classics Club is growing. Love the enthusiasm of everyone and so glad to be part of it. Wow, this is truly amazing and inspirational. At the rate at which the reviews are pouring in, I will find it hard to keep reading all of it. Absolutely marvelous! Oh, I’m so happy to be part of this club, and this challenge. Standing ovation for the moderators, and warm welcome for new members. Thanks so much to everyone for your hard work on this. I really enjoy seeing all the new members and posts. This is great, I’ve discovered four new bloggers from this! Loving this new site, once again, well done!